Check out this guide on how to style denim shorts this season so you can rock a pair and still look stylish. Denim shorts go with most outfits and are not hard to pull off effectively. In this article, we'll go through the best ways to wear them and what to wear them with. Read more Men's Style Guides features and check out our Store. 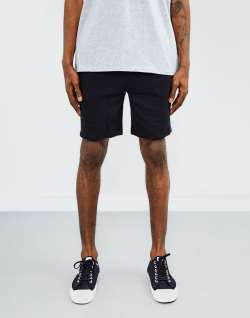 With summer now upon us, it is the perfect time to invest in a new pair of smart casual men's denim shorts - the height of men's summer fashion. Whether you'll be wearing them on the beach or to the pub, they are the ideal way to keep casual and comfortable when the warmer weather hits. The most flattering fit and easiest to style to work with are the above-the-knee shorts. However, with a huge range of washes to choose from, there is scope to put your own spin on this classic piece. Here is our guide on how you can keep cool in denim shorts this Spring. When it comes to denim, the selection of colours and washes can be a little overwhelming. If you go for white denim you're bound to end up fighting with pesky grass stains (or at least having to phone your mum to find out how to get rid of them), and if you opt for something coloured then you may run into trouble when styling it with your favourite Hawaiian shirt. Classic blue or black denim are both fail-safe options which can be styled in numerous ways. The Idle Man's denim shorts collection is a great place to look if you're trying to hunt down the perfect pair; reasonably priced and with all the essential washes available, they've got you covered. Yes, 'double denim' is probably the most intimidating phrase for any fashion-conscious human being to hear, but it's finally shaken off it's tacky 90's stigma and is a sure-fire way to prove that you're fearless in the style stakes. If you are yet to dip your toes into the vast pool of double denim, then it's probably best to start out with a simple button-down shirt in a slightly different shade to your shorts. Loafers are the most sophisticated choice of footwear when it comes to Spring style. It's still a little too early to be whacking out your toes in a pair of flip-flops. Pretty much any pair of loafers will inject some Summer vibes into your outfit, without causing the same offence that your toes might. 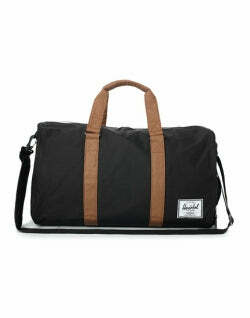 It's important to invest in a sturdy pair -brands such as G.H Bass & Co. or Hudson are reliable and durable. A collared jacket is a great way to finish off this smart-casual look and help tone down the double denim and avoid a Justin Timberlake style fiasco. 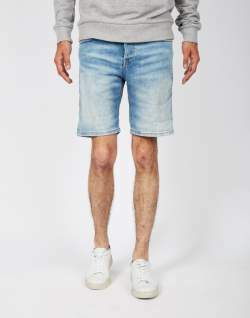 Cut off denim shorts are the perfect style to go with the aforementioned. 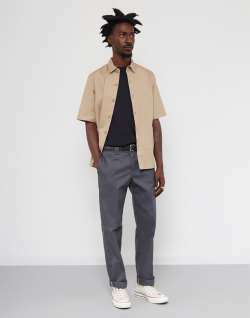 This outfit is perfect for a men's smart-casual event. Boat shoes, a striped T-shirt and a pair of denim shorts. This is a simple yet flawless combination that doesn't have to be reserved for when you inevitably find yourself aboard a boat at some point this Spring. Boat shoes are another great footwear option once we get some balmy temperatures; they offer the same sophistication as loafers along with the comfort of a more informal shoe. If you choose a trusty brand such as Timberland then you are guaranteed comfort, practicality and durability. 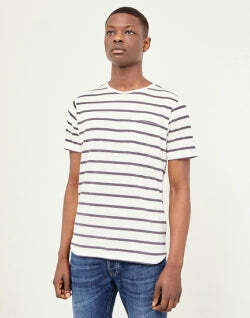 A basic striped Tee is a well-known Spring/Summer staple and keeps this look casual enough to be worn on a daily basis. Simply switch up your accessories and make sure you don't wear the same shirt for too many consecutive days and you have got yourself a signature look. If you fancy going for a darker denim, you can pair it with a fresh white shirt in order to achieve a classic monochrome look. White shirts come in all shapes and styles; a short sleeved one is ideal if we're blessed with sunny weather whilst long sleeved options are available for when the sun undoubtedly decides to disappear for a few days. For footwear, a pair of white Converse can be a classic addition to this look. Whilst white shoes are notoriously difficult to maintain. 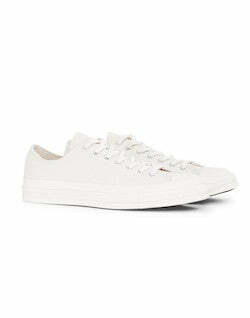 A pair of Converse, however, can be easily thrown in the wash once they've started to get a bit grubby. In order to keep this slightly more conservative style looking fresh, a bucket hat is a great way to remind people that you're a fun yet practical guy. 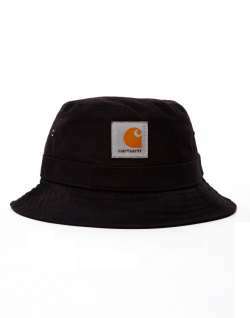 Bucket hats are definitely the Marmite of headgear. So, if they're not to your taste then you can opt for a beanie to keep your ears toasty instead. If none of the above styles grab your fancy, then maybe it's best to go back to basics. Black denim shorts are probably the easiest to style to wear. You can simply throw on any coloured top and you're good to go. 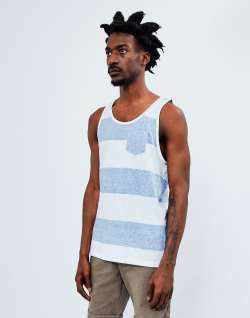 A plain vest is also a Summer staple. They can creep out of your closet in the Spring months in order to show off all those hours spent in the gym. If you don't have time to be messing with laces then a pair of slip-on shoes are to be considered. Aside from the fact that they're great if you're a little bit lazy, they also provide comfort and style. 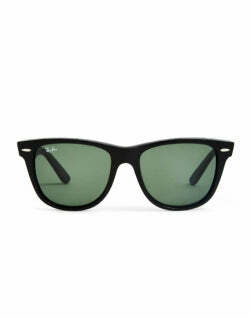 As for accessories, a pair of Ray-Ban's is the only way to go if you're heading back to basics. As an original sunglasses brand, they are the best way to inject a little high-fashion into a basic outfit. 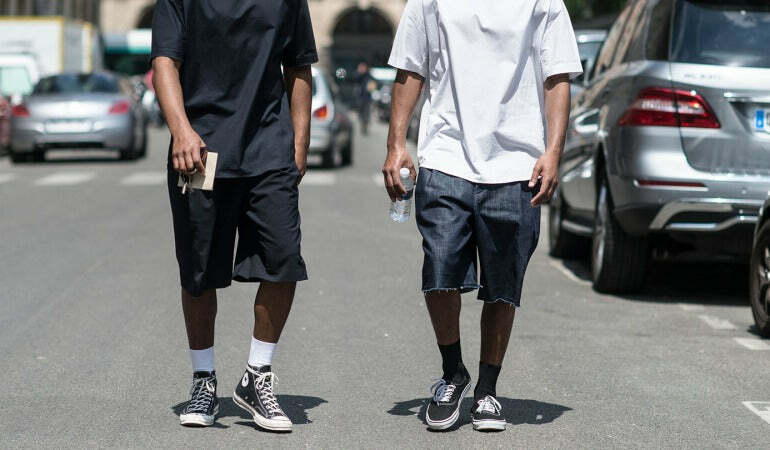 Want to incorporate shorts into a street outfit? Not a problem- go for a stylish pair of runners. 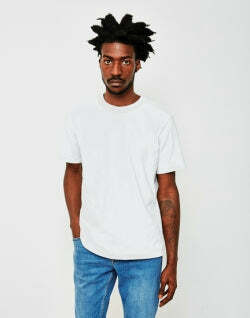 White would be a good idea to contrast the denim well. 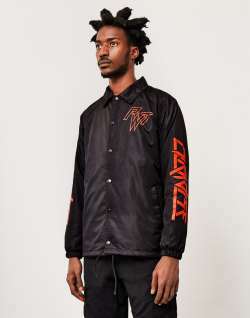 On your top half, I would choose a T-shirt and a coach jacket to give it an urban twist. Finally, accessorise the outfit with a baseball cap or 5-panel hat. This look is sure to be a winner. 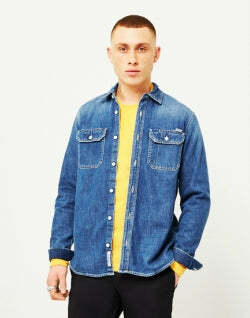 Double Denim - No longer a disaster, double denim is the height of fashion. It is definitely a look this summer. Monochrome - Always a classic. Go simple and minimal for a maximum style effect. Remember to keep your shoes monochrome, too. 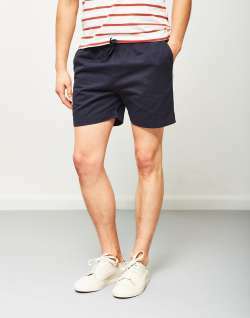 Back to Basics - Go for block colour shorts, a simple t-shirt and a pair of classic, stylish shades. Basics are a must have in every man's wardrobe, and will take you through the whole summer. 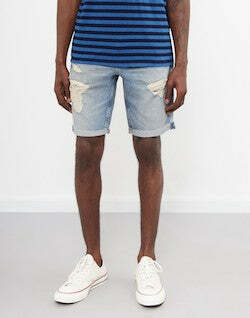 Denim shorts should be a staple piece that's in every man's wardrobe. 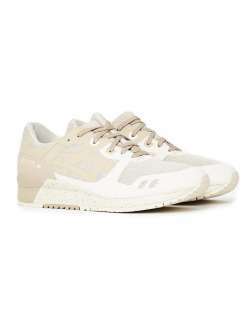 They're easy to style well, perfect for the hot weather and they are comfortable as well. 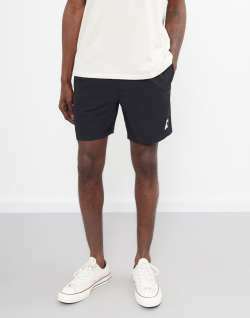 Comfort really is the key when dressing for summer, so make sure your shorts are not too tight! There are plenty of cut-off shorts such as men's Levi shorts and other brands in the shorts section of our store- take a look!